To Everything There Is A Season: The Illusionist's Apprentice Review-Simply Wonderful! 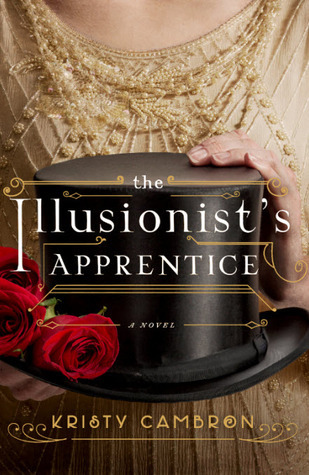 The Illusionist's Apprentice Review-Simply Wonderful! Kristy Cambron is incredibly talented at finding stories and events in history that many don't know much about. She takes a time period and setting and runs with it, letting you explore a special world. This book is wonderful. Have you seen the cover?! Stunning. I so enjoyed Wren's character because she wasn't perfect. I loved how she grew within the pages and how I got to know her better. I loved the setting and the vaudeville life. I feel like I got to peek around the curtain and discover their secrets. I think Cambron did an excellent job in separating the difference between magic and illusions. Also, the twist at the end just might blow you away! Wonderful book, I highly recommend!!! "Thanks to the author and the publishing company for offering me a free copy. A positive review was not required and all opinions are my own."